Sipping on a café latte, I watch the breathtakingly beautiful scenery pass by. I am taken to my inner calmness by the mumbling of the water and the simple wave to a family of bikers along the riverbank. Ever since we stepped aboard this 4.5 star vessel, we cannot stop wondering why we had not ventured on this cruise until now. We arrived, unpacked, and set off to explore the ship already able to relax and enjoy discovering what this special journey would behold. No running in and out of a tour bus or cars. No checking in and out of hotels every day. Our floating home took all the hassle out of traveling. We embrace beautiful landscapes on the way to romantic towns and vibrant cities. We often wish we could hold onto these moments forever. With a maximum of 150 passengers and a crew ratio of 1 to 4 aboard most river cruise ships, it is the intimate personal atmosphere that discerns a river cruise from other cruises. Our 170 sq ft cabin features 5-star amenities of down bedding, bathrobes, slippers, and upscale toiletries in the luxurious bathroom and a flat panel television. The French balcony doors slide open to the romantic slate roofed villages, medieval castles, and vineyards which float by. “Doesn’t it feel like we’re in the middle of a fairy tale?” I asked my husband. Every morning felt like unwrapping a present. What scenic gift would await us today? Each and every time, we were amazed by the port cities and enriching experiences our Captain offered. Daily options included a day of land exploration or relaxing onboard with personally selected plans. 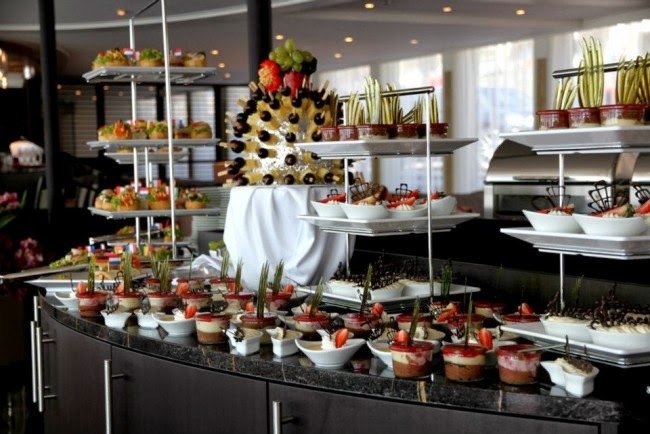 Our mornings began with the breakfast buffet, including a glass of champagne, made to order omelets, accented with freshly baked pumpkin seed bread or pastry. All AMA Waterways cruise ships in Europe include personal pastry chefs that begin baking at 2:30 in the morning. So, the scent of freshly baked goods winding through the aisles of the ship serve as the only wake up call you need. While enjoying a gorgeous view and quenching our energy needs with breakfast, we planned our day selecting from an in-depth guided tour or a more leisurely walking tour. For either tour, the cruise staff provided every passenger with a state of the art headset. These allowed us to hear our experienced English-speaking tour guide even if we lingered at a site or shop after the group had moved on. We also took advantage of the complimentary bikes and explored the town by designing our own route. One of our favorite detours was the Culinary Delights: Bites and Sights tour in France where we visited a winery in the Alsace region learning to pair wine with dark chocolate. Yum! For lunch, we either stayed in town and ventured to try the local fare or returned to the ship where we chose a light lunch or mouthwatering delicacies of the onboard restaurant. Afternoons were spent aboard the ship or exploring the beauty of the town on our own by visiting breweries, attending wine tastings, shopping the wonderful boutiques, or simply sitting in a café enjoying the atmosphere of a quaint market square. When staying aboard, complimentary espresso drinks, sandwiches and pastries awaited the guests. The cruise offered an amazing multi-course dining experience uncovering regional specialties accompanied by free-flowing local wines and beers. The food was absolutely delicious with choices for any palate and remained truly a 4-star experience at each endeavor. AMA Waterways is the only river cruise line to be an official member of La Chaîne de Rôtisseurs; ranked one of the most prestigious culinary organizations since being founded in 1950 in Paris. Membership is considered an achievement of world-class culinary acumen, and we experienced this with each and every meal. After dinner, our cruise manager, Debbie would greet us joyfully: “Ladies and Gentlemen welcome to tonight’s featured show!” Whether traditional local folk dance, a classical quartet, or 70s music, our new friends joined us willingly. Kevin and Sara, newlyweds from California; John, a single traveler from Maine; and Bob and Anne, a retired couple from Florida, now joined us as we embraced the country we cherish. It is the diversity of people that makes mingling on board so much fun and creates the connections for future cruise trips together. Returning to our luxurious cabin for the night, we found room service had turned down our beds, adorned them with chocolates alongside a recipe card reflecting the night’s featured main course signed by executive chef, Primus Perchtold. What a wonderful idea! I will definitely surprise my dinner guests back home with these amazing recipes. Even after growing up in Germany, my husband and I always wanted to cruise this particular region of Europe. We started in Amsterdam and are now on our way to Basel, Switzerland. We completely agree that Amsterdam is “the Venice of the North” with its beautiful canals, bridges, and colorful houses. When you visit Amsterdam, make sure to stop by L’Amuse on Stadionweg; a cheese shop that offers over 400 varieties of Dutch cheeses. 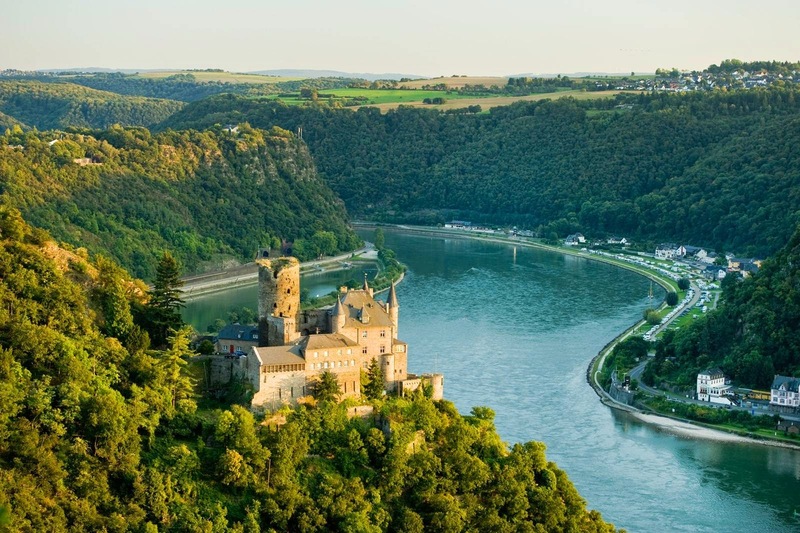 We passed through the Upper Rhine Valley, one of many UNESCO (United Nation Educational, Scientific and Cultural Organization) World Heritage sites on this cruise, emphasized by medieval castles greeting us from the tops of nearby hills. 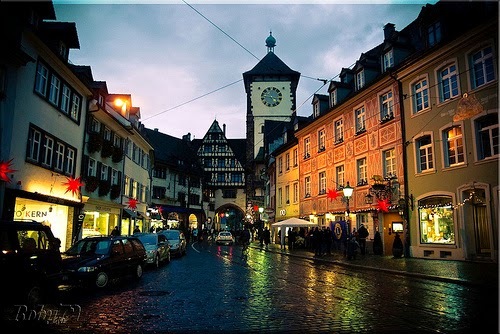 From there, we traveled onward to Rüdesheim and Speyer, as well as the cosmopolitan city of Cologne. Approaching Cologne, we admired the two spires of the gorgeous Gothic cathedral long before we docked. After completing the guided walking tour of old town, we advanced to the Gaffel Haus at the Alter Markt, one of so many local microbreweries, to taste the world famous Kölsch. The following day we cherished a view looking far beyond the castle walls. Admiring the rolling Neckar River swaying through the old town Heidelberg was like warm rain on a sunny day that truly warmed our romantic side. The world’s largest wine barrel is located in the cellar of the castle. Created from 170 oak trees, the magnificent barrel secures a massive 55,345 gallons of wine. Heidelberg also houses the oldest university on German soil properly named Heidelberg University. After visiting Heidelberg, I did say, “I lost my heart in Heidelberg” to borrow that special phrase from Fred Raymond‘s famous song. Strasbourg presented us with another cathedral, Nôtre Dame. The 59 foot tall astronomical clock is securely embraced by the architectural design of Nôtre Dame. We experienced additional historical influences while on a guided tour of Petite France Quarter gaining appreciation for covered bridges and canals of the extended waterways. While some of our friends detoured to explore Colmar, a quaint town on the French side of the Rhine with picturesque half-timbered houses and a history that goes back over 1000 years, we preferred to visit our former hometown of Freiburg. Surrounded by the ravishing mountains of the Black Forest on one side and the Rhine Valley with the French Vosges on the other, Freiburg is known as Germany’s sunniest place. There is no better location to have an ice cream than at Lazzarin’s at the Rathausplatz. We strolled over beautiful Rhine stone mosaics reminiscing about the Kaiser Joseph Street main shopping mile and ended our tour by accidentally stepping into the famous Bächle. Stepping into the Bächle solidifies fate’s promise of a return to this beautiful land sometime in the near future. For us, our wonderful time here on the AmaCello had to come to a close. Looking up from this very paper, I visually captured the outlines of Basel with barges, boats, and cruise ships docking land side like a string of pearls. Basel is our last stop where we will bid farewell to the AmaCello Rhine River cruise and begin our land program in Switzerland. My husband nudges me gently, reminding me of a final indulgence that awaits me at the onboard spa. When done with my massage and facial, we will certainly enjoy making plans for our next dream river cruise. Maybe the Danube from Budapest to Vienna, or the Douro in Portugal. How about a wine themed cruise on the Rhône and Seine in France, or even all the way to Vietnam and Cambodia? 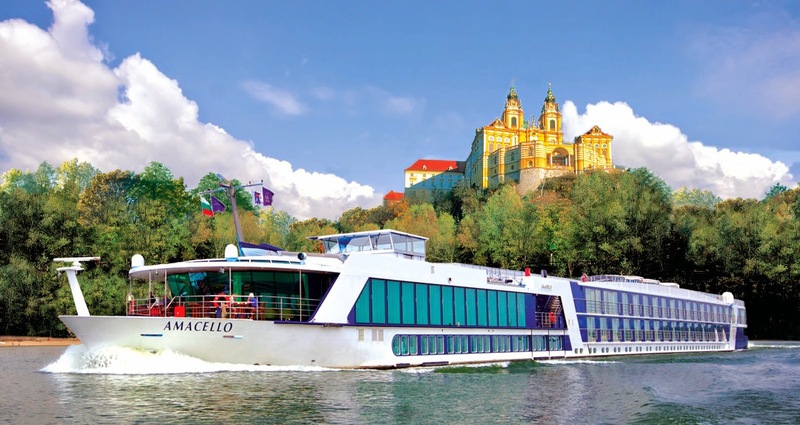 There are several river cruises conducted in Europe, Russia, Asia, and Africa. For now, I am going to enjoy the beautiful scenery while I finish my latte then meander to the spa, where I’ll relax and wonder where in the world our next journey will take us. Ellen Rauchhaus, a native European, is a travel consultant for almost twenty years, a river cruise specialist and the owner of European Delights by TripDesign. Ellen can be contacted at (248) 982 4547 or emailtripdesign4u@gmail.com. More information can be found here: tripdesign4u.com and facebook.com/tripdesign4u.